Tufão is a tool to work with web in C++. Why C++? I like C++ and this is enough to me, but there are other reasons to create a web framework for C++. First, computing is changing again. In the last years, the clock speed of the processors stalled and again, you need to care about performance. Not only that, but the nature of techniques to gain performance are changing too. Today, you find processor with more and more cores, you can see more general purpose enabled GPUs and there are more optimized instruction sets in processors. C++ is the right tool for the job, and with the language update in the last year, I believe that the language is becoming stronger. Second, I don’t see a de facto standard to create web applications using C++. Third, there are lots of good libraries and APIs in C++ that you can use to implement cool ideas and develop web apps in C++ would let you to use them. How does Tufão compare to other frameworks? In this post, I’ll compare it through some different points of view. My idea about programming language is that languages should be designed to express ideas, and if they don’t have a good expressive power, then they are useless. Today we have lots and lots of programming languages. Personally, I don’t like the direction the Java language is taking, but, on the other side, I like Python. I already see some languages created only to develop web applications. I don’t believe that this is a good move. I don’t believe that the web development’s problem is the lack of an appropriate language. There are lots of good languages available today and I don’t believe that create new languages is necessary. 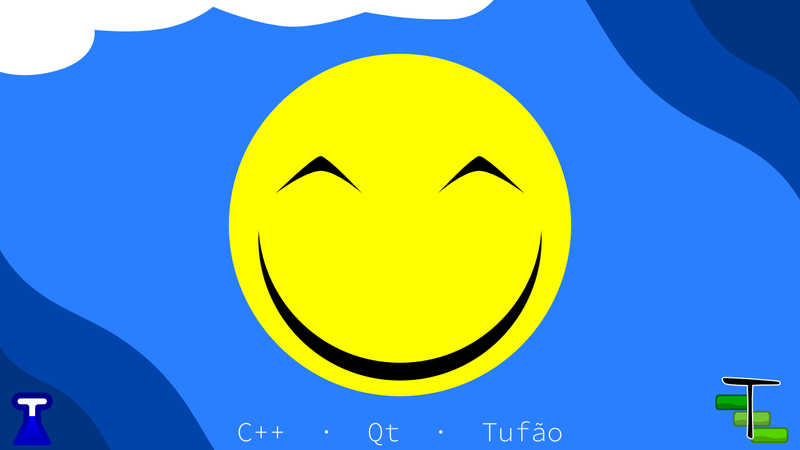 I’m developing Tufão in C++. C++ has a good expressive power and the last year’s update improved it. The language isn’t popular among web development, but web development is very dynamic and change rapidly from time to time. How I said before, the problem, in my opinion, is not in the lack of an appropriate language, but in the lack of an appropriate framework. Tufão can have extra modules as any other framework, but compared to Node.js, I see a problem with ease of the installation process. In Node.js, we have npm and all we need to do is npm install <module>, but in Tufão you need rely in the operating system installation process or compile the modules. This isn’t a problem in some GNU/Linux distributions like ArchLinux, but this might not be the case in other systems. I don’t see an ease way to solve this problem, so I’ll try to evolve Tufão to be self-sufficient in most of the cases. And this isn’t really difficult as Tufão is built on top of Qt, that already provides lots and lots of common needed features to any application. In Tufão, the rounting is built on top of two classes. The AbstractHttpServerRequestHandler interface and the HttpServerRequestRouter class. The AbstractHttpServerRequestHandler interface requires you to create a slot to handle a request and the HttpServerRequestRouter is itself is an AbstractHttpServerRequestHandler. This design let you to build things like nested routing and use the same router in several different combinations (serving to HTTP and HTTPS servers). In Tufão, the basic building block for routing request is the same as several other frameworks. You just need to use regular expression to filter the path and pass a handler to that request, and, optionally, specify which methods the object will handle. Well, when you develop a web application, you want to do it available 24h per day, every day. Imagine how you’d feel if you had to stop the server, recompile the application and run it again just to add your company’s name at the bottom of the page. We could just use a dynamic interpreted language and solve the problem, but the language isn’t the problem. In some web frameworks there is the notion of an application server, that usually is integrated in the routing mechanism. The role of the application server is to dynamically register new applications and remove old ones. In C++, a dynamic handler is just a plugin stored in a shared library loaded at runtime by the application. It’s just the old *.dll files on Windows or *.so on Linux. Tufão provides an application server too, but, different from most of the frameworks I’ve seen, it’s not melted in the routing mechanism. The Tufão application server is plugin-based, stores its configuration in a file (chosen by you) and provides an external program to update this file. It’s easy to use, but you’ll have to add code to define when the application server must reload the config file. If you don’t have any special requeriments, the default application template code is enough and you won’t need to write this piece of code at all. Some frameworks just don’t separate logic and ui design, such as most of old PHP, embedding the logic code and the html (or some custom view language code) code in the same file. There are frameworks that allow you separate the logic and the ui design, but do a wrong implementation of the idea, requiring the designer to have some knowledge about the framework internals, trapping you to use the tools from the same framework forever. Using this technique, when the user access your site, the browser will request the pages server through the Tufão’s static file server, making most part of the page cacheable, saving precious network traffic from your application . Also, the view isn’t generated at runtime, so you will save server’s processing power too, increasing the maximum numbers of requests per second. Another advantage is the freedom to choose technologies. The UI is just a bunch of static files, isn’t something chained to specific Tufão internals, so you can use any tool you want to create them. We don’t take away your freedom. As an advice, you should implement each page handler as a plugin, so you can change the running code at runtime. Web frameworks usually don’t develop custom IDEs and this isn’t an exception for Tufão. But, Tufão is built on top of Qt, and Qt programmers are used to QtCreator, so I created a QtCreator plugin to help the development of Tufão applications. The plugin just help to create new applications, providing application templates. I think this is enough, but if I change my mind, I’ll extend the plugin. The first is a full featured web application, using the Tufão’s static file server, plugin server and a custom handler to treat 404-pages. The second is a plugin that responds with a “Hello World” and is as small as possible to keep things simple. The last is just a Hello World application. Well, It’s not an easy task to measure the development productivity, but I can talk about some points. If what you want is a creative web app, you problably need a powerfull low-limited web API to help you, and my aim is to provide such API, so I highly invite you to test Tufão and give me some feedback. If you plan to create some common-case application, there are frameworks such as Django that already provide several integrated facilities (such as mvc with integrated mapping of database schemas, template systems, already implemented authentacion sytems, … …) and right now, Tufão can only compete if you use other libraries to help you. Improve Tufão to compete with Django isn’t my priority and I don’t even know if I care about facilitate the creation process of boring common projects, but is an important area and if the demand or the help increase, I’ll create tools to help in this use case too. Tufão is an open source project under the LGPL license. The documentation, examples and public headers are under the MIT license. This means that anyone can contribute to Tufão development and you can use it in your commercial projects. I created Tufão all alone and tried to do I really good job in every piece of it, but maybe the documentation isn’t good enough, so if you have any question that cannot be solved reading the documentation, just ask me and in the next version the documentation might be better. The same rule applies to bugs (and I wrote lots of tests to prevent it, but I just didn’t realize how to automate all tests, like little endian and big endian tests…). In the next part of this article, I’ll demonstrate some benchmarks and how to create a web application using as much Tufão’s features as possible. Thank you for reading about the project, I really appreciate, and if you like the project, spread it among your friends. I ackowledge Ryan Lienhart Dahl for developing Node.js. Before its API, I thought web development was tedious.